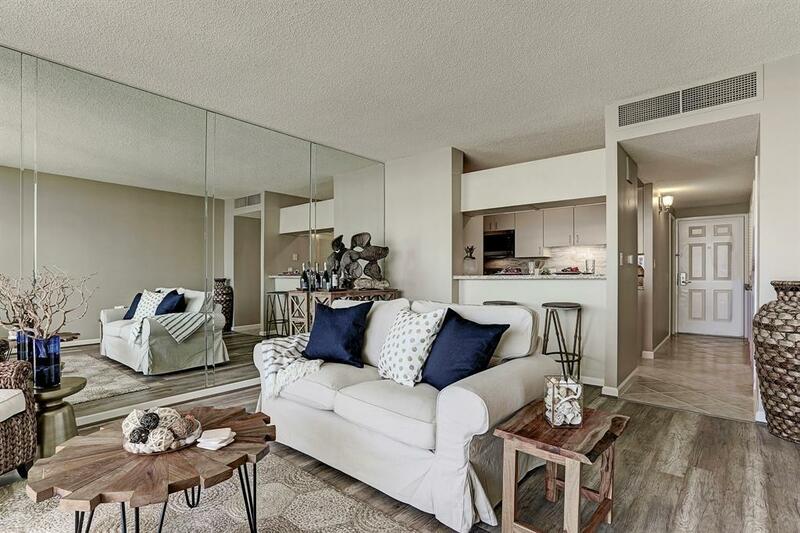 Live the life you've been waiting for in this newly remodeled 1BD 1 BA beachfront resort condominium. 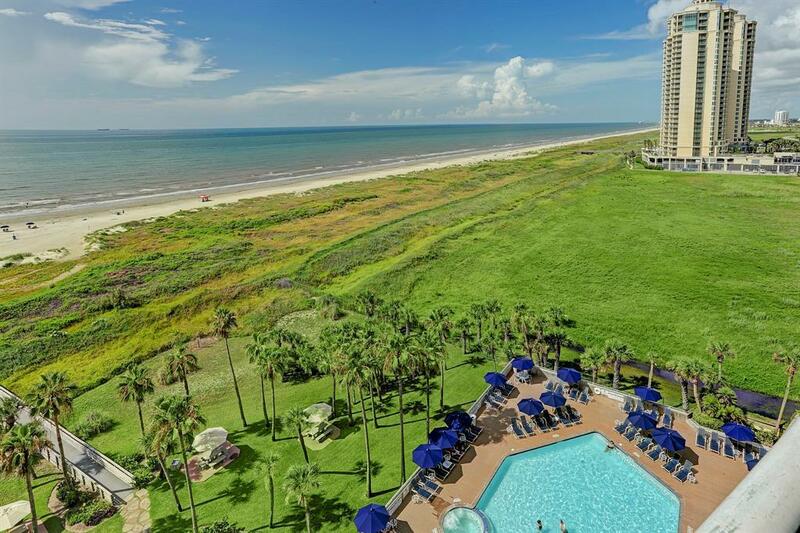 The Galvestonian offers true lock & leave luxury with a 24-hour concierge. Take a dip in the perfectly heated oceanside pool or hot tub jacuzzi year-round. 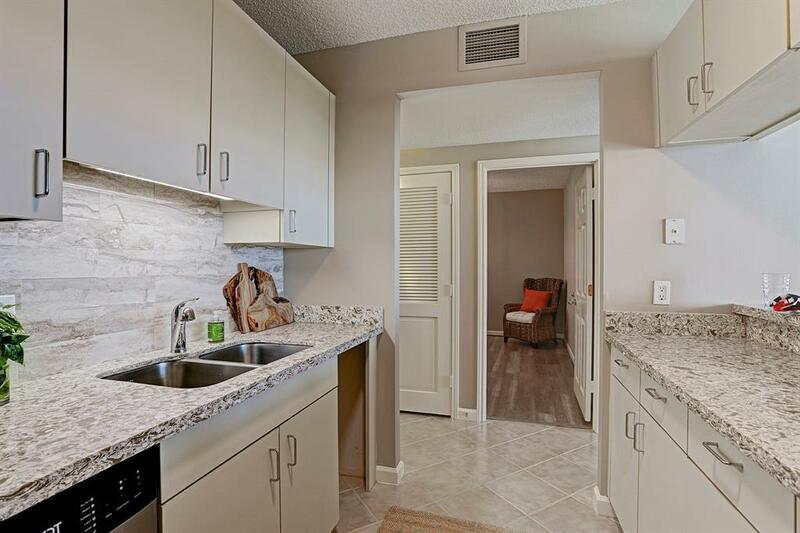 Poolside cabanas, lighted tennis courts, picnic areas, truly something for everyone. All this, just steps away from the beach. New quartz counters, new appliances, easy to maintain premium laminate flooring, and fresh paint all in a modern, soothing color palette. 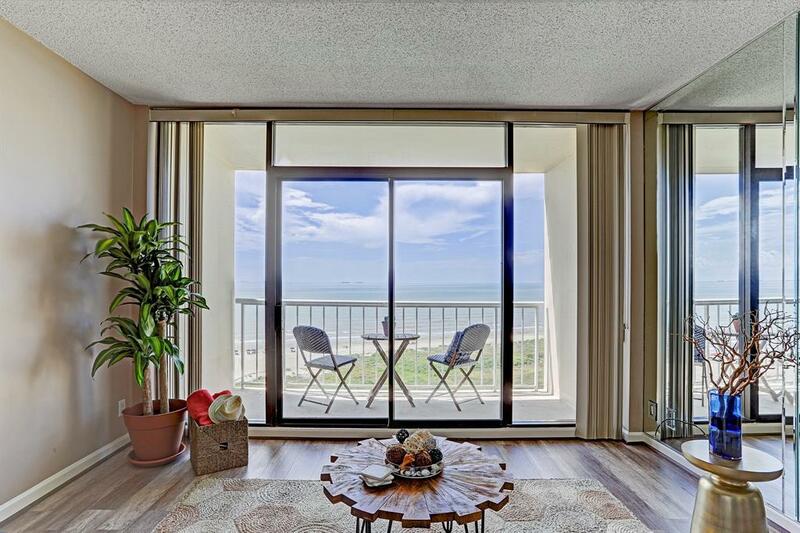 Enjoy beachside sunrises from your 9th floor patio and living area - simply serene.